Can I Get an Advance on my Credit Card Instead of a Loan? When many hear of borrowing, they usually think more of online loans and cash advances which is what they are in the truest sense. Yet credit cards are also a way to get fast cash. With this method you are using an advance that has to be paid back. Most often the user plans to purchase things that you need now, not later. If you think about it, they are really one in the same thing. Usually done and carried out in different forms and terms. As they differ, they will have also have some similarities as well. Which one is better though? That’s a hard question, as the answer is dependent on the personal tastes of the person that is using the credit card or loan from a direct lender. Each one of these options has its own advantages that a person could benefit from. “So why borrow?”, someone may ask him or herself. Taking out an online loan can give you a chance to get cash when you need it, against the persons’ next paycheck or direct deposit. Check out the latest comparison of lenders that provide online funding. We have a list of online direct loan companies that provide funding. As it is a convenience, it can also be a huge problem if you are not careful to keep a close watch on getting it paid back. We see this all too often with payday advances. The direct lender allows a customer to borrow a large amount and they have trouble paying it back in full. This should only be used as a source of short term emergency cash. If you are sure that you can pay off the direct lender as soon as possible with no trouble. Borrowing can also be done in cash or collateral from a family member or someone that you happen to be close to. Yet this is something that many people tend to avoid, and usually for good reason. This method of lending has been known to get out of control and put a damper on once good relationships. Some people have even take relatives to court – which would not be good for anyone to have to deal with at all. While this aspect is negative, you can still expect a decent interest rate and little to no fees with working with someone you know. Compare that to working with direct payday lenders where the finance charges will be high. By using credit cards for your regular purchases, you are essential taking things into your own hands. In fact, the US Government recommends that you read up on your rights as a credit card holder in the US. Set up your situation to where you can handle it pretty much on your own, or at least have more control over it than if you were borrow the traditional way. 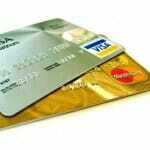 Credit cards will allow a person to buy things on credit and make payments on the due balance. Most companies will specify these terms in the contract language. Find an option that is best for you and lets you avoid a costly installment loan from a direct lender. With your specific situation you can get on your way to a future bank loan from a credit union. use that advanced money or credit that you both need and deserve.